Bright Stars Nursery & Primary School, Kyetume. October 2008 – Following a number of difficulties with the school director, Vincent Ssekibira we have now discontinued support of this school which Love in Action helped to build between 2004 & 2008. 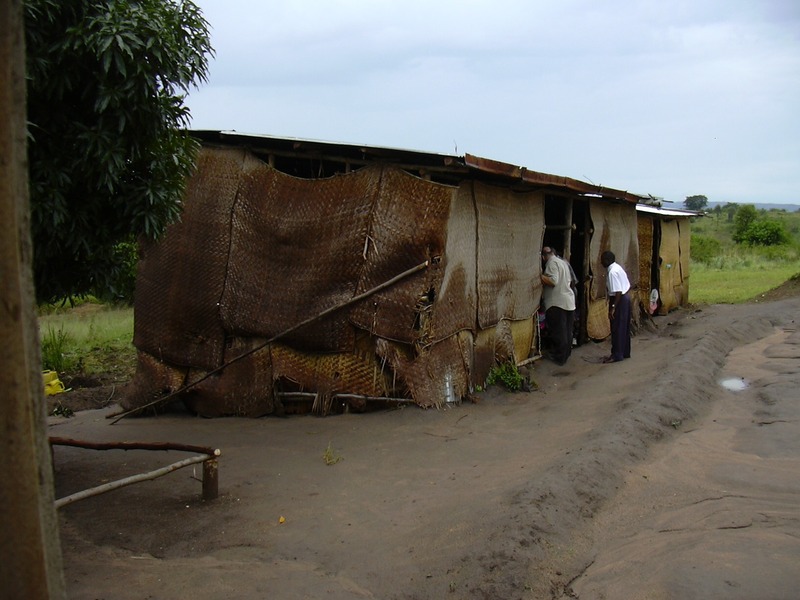 This is the story of a very poor school in a village near Masaka that we really wanted to help. We first came into contact with the school in 2003 when Vincent (Bright Stars) and his friend Samuel, who is head teacher of the adjacent Secondary School, came into the internet café trying to find sponsorship for their schools on the internet. They were also looking for pen-pals for the children, or foreign schools to “twin”. The schools were both very very poor. Both have problems with lack of facilities, but first let us tell you what we found that so impressed us. This is an area of extreme poverty, but yet the parents have united to build schools for the children. Many of the parents are struggling to pay for their own children’s fees, but have happily accepted that their payments will be stretched to cover “School dependants”. (This is where the child has no-one at all to cover the fees, and the school has taken the child anyway). Both schools were extremely happy places to visit. Despite the many difficulties the children are well mannered and industrious. They were not looking for people to “take over”, rather for support that would enable them to do what they were already doing, but more efficiently. The two head teachers are christians, and do what they are doing for God, and with His help, and enjoy preaching and teaching the Bible to the children. There is a sense of harmony and acceptance of everyone within the school, where all views are respected. The schools feed the children at lunchtime, but can only afford porridge. The local porridge is probably what we would call gruel. It is better than nothing, but we would rather pass on it! However for some of the children this porridge will be all that they may eat on a particular day. We have been well received by the staff and pupils, and by the parents that we have met. Many people from the developed world have said to us “Why are you bothering to help in Africa where the people do not help themselves?” It is good to be able to point to a community that has done so much to help not only their own children but the children who must fall within some of the most needy in the area if not in the world. “Greater love has no man than this – that he lays down his life for his friends” – The bible. Oh yes – and in answer to the question “Are the head teachers rich? Are they paid as pastors?” Let me tell you this, as I sat in the rooms rented by Vincent for his large family he told the stories you will read in the children’s profiles. “This child is very poor” he said. “Terrible living conditions” he said. “So needy” he said. “Just like me” he could have said. In April 2004 we launched an appeal to build a proper school on Vincent’s site, this resulted in raising about £16,000 over the next 3 years which built the school that is shown at the top of this page, 6 classrooms, Headmaster / directors office, toilets and kitchen. 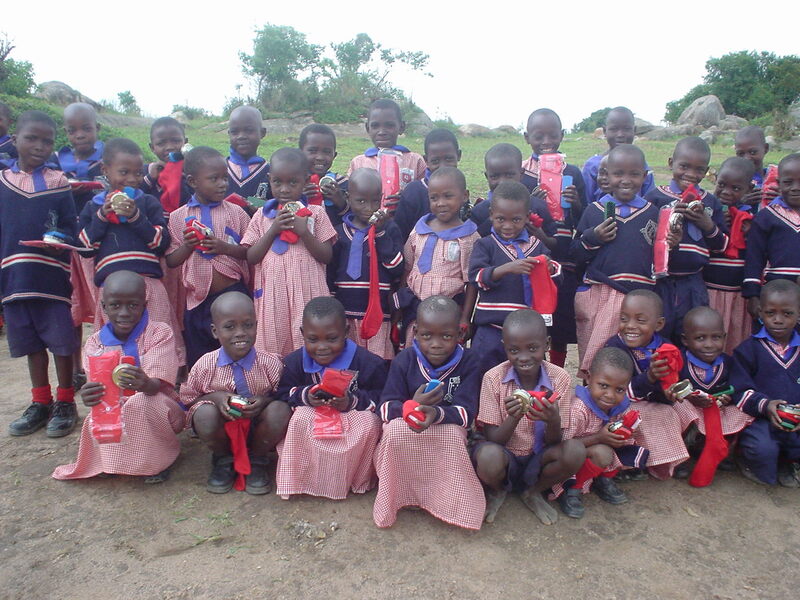 We also started a sponsorship scheme for children at the school. In October 2008 we ceased sponsoring children at Bright Stars..
A big thank-you to everyone who helped in any way.